Gavial Indian (Gavialis Gangeticus). Critically Endangered Crocodile. 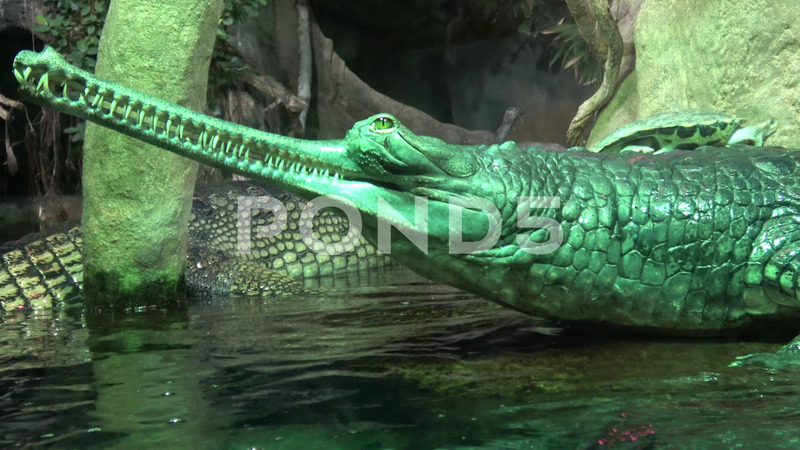 Description: Gavial Indian (Gavialis gangeticus). Gavial crocodile group. Critically Endangered crocodile. Crocodile green gavial. Wildlife animal. Turtle sitting on crocodile.